We’ve made our way up to Tucson and settled in at Davis Monthan AFB. We plan on being here for a few days or so before we head home. 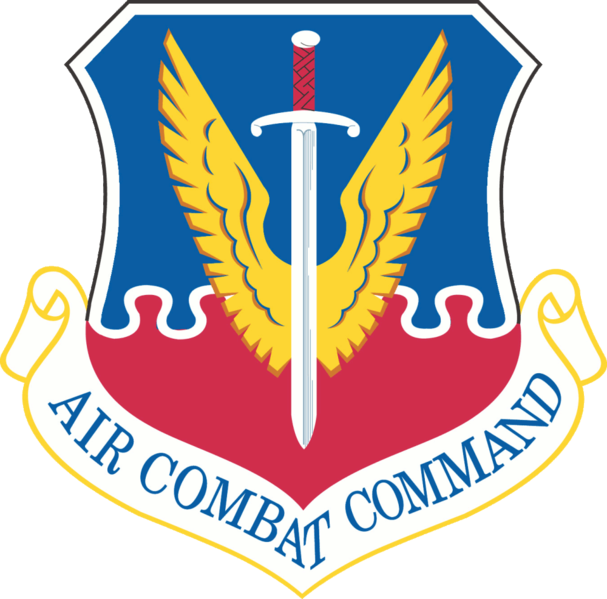 Davis Monthan AFB has to be one of the nicest military bases in the country. It has a resort style camping area that has won “campground of the year” award many times and is always in the top running, probably one the top three, out of over 200 military camp and recreational sites in the United States each year. There are 198 sites; most are pull-through sites with full hookups: electric, water and sewer. The commissary is to die for with some of the nicest produce I ever seen and the Base Exchange is huge. Our second night here they had a Valentine’s Day dance for the RVer’s. About 150 or more showed up ready to party: They served heavy hors d’ oeuvres; a live deejay was on station, and door prizes to boot, all for $2 a person. The appetizers were something else: Swedish meatballs the size of tennis balls, chicken strips, ham, turkey, rolls, cold meats, vegetable and cheese trays, assorted fruit, and of course, chocolate. Did I mention $2 a person? There is also free coffee and YFI in the office 24/7. I like this free thing a lot. The base has been in operation since 1925 and started out as a big open desert field. It was named in honor of World War I pilots Lieutenants Samuel Davis and Oscar Monthan both Tucson natives. The base is also called the “Bone Yard” and used for storage of thousands of aircraft that could be re-activated if needed. The bone yard… There’s More. Happy hour starts the minute I get up… February and in the 80s today. See what I mean??? This entry was posted in Uncategorized on February 21, 2014 by Tom & Patricia. We visited the Old Tucson Studios, about a 15 mile drive from downtown Tucson for something to do. Originally built in 1938 for the movie Arizona, starring William Holden and Jean Arthur, workers built more than 50 buildings in 40 days for the movie set. Many of those same structures are still standing today. After the movie Arizona the filming of The Bells of St. Mary’s in 1945, starring Bing Crosby and Ingrid Bergman was one of more than 300 movies, westerns and TV shows that were filmed there including The Last Round-Up (1947) with Gene Autry and Winchester ’73 (1950) with James Stewart and The Last Outpost with Ronald Reagan. The 1950s saw the filming of Gunfight at the O.K. 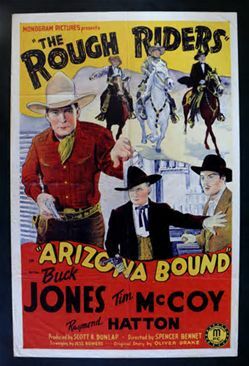 Corral (1957), The Lone Ranger and the Lost City of Gold (1958), and Cimarron (1959) among many others. A Can-Can and slap stick performance given twice a day. Howdy mam… is the old guy bothering you?? Stagecoach ride is part of your admission. A gunfight “stunt” show is daily at 2:pm only. It’s all part of the admission fee. We are on the move again. 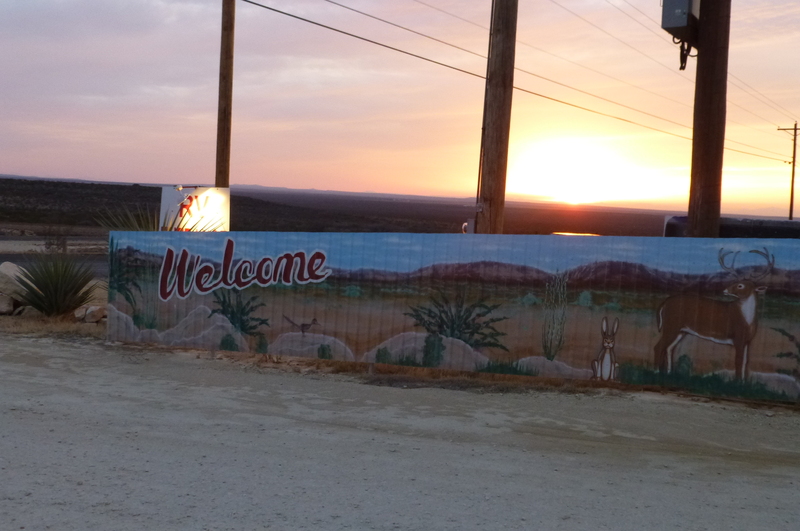 We spent the night in Fort Stockton and saw one of the most beautiful sunsets I have ever seen. The next morning we headed out early with nothing but road and open road in front of us not knowing exactly where we were going. An hour and a half out I noticed a ABS COMM FAILURE warning on the systems computer followed by TRANS COMM FAILURE warning. Then the Coup de grace – ENGINE COMM FAILURE. We lost all power doing 70mph in a 22,000 pound tin box! I managed to get over to the side of the highway and out of harms way. There we sat looking at each other. What happened? Not in those exact words but you get the idea. After several minutes of just sitting there doing nothing, I tried to restart the engine. The gages, there are many, were jumping back and forth kind of saying pick me, pick me. Nothing, no turn over, no nothing. Luckily I took out special insurance for RVs and called Coach-Net. I called them and they asked if we were safe (yes) and where we were. Where am I? I’m in the middle of the F-ing desert with nothing but open spaces as far as the eye can see and I’m damn lucky I have a cell signal because over the next ridge there isn’t any. After a lively discussion that was being recorded for quality assurance, we figured out where we were. I was told then that there would be a tow truck out in 2 to 4 hours. What? You’re kidding, right? I have a life! The clock is ticking. It’s the forth quarter and no time outs. After venting, the operator said they would do their best to get someone out ASAP. Yeah, right. So now what? Good question. I decided to fire up the hot spot and get on line and ask on a reliable RV network web site if anyone had experienced this type of problem before. It didn’t take long before I started getting recommendations from a number of people. Everyone thought it was probably the alternator not supplying power to the electrical system. Two people recommended wedging something up under the battery booster control button drawing power from the house batteries and by-passing the alternator altogether. We had been sitting there for about four hours and had not even seen a highway patrol car or anything. Coach Net called and said a tow truck was on its way and they were about 120 miles away en route. Okay, what in the hell can I wedge up under this booster thing and see if I can start this bad boy? I took a thick piece of cardboard and folded it over and proceeded to jam it under the booster control button. I then turned on the ignition and KABOOM! The engine started and came to life as if nothing had happened. There is a lot more to the story but I’ll summarize it to give you an idea as to the end results and perhaps fill in the details at a later time. The nearest Cummins dealer was 170 miles away. We spent two days in their parking lot. I had a complete service done and they spent 12 hours trouble shooting to find the problem. It turned out to be a loose wire in the ignition system cable. All is well and we are once again happy campers on the road of life – the end. This entry was posted in Uncategorized on February 9, 2014 by Tom & Patricia. Just a short update: We ran into Progreso, Mexico, to say we’ve “been there, done that”. 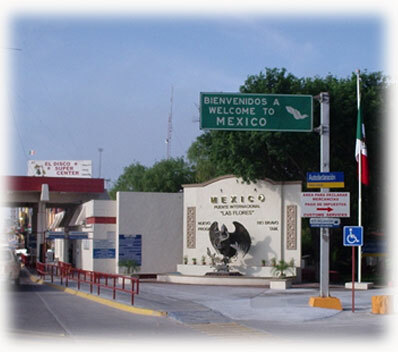 Progreso is a typical Mexican boarder town with plenty of poor kids begging for anything they can get their hands on. The streets are crowded with vendors selling typical junk unless you are there for prescriptions, dental work or eye glasses. A lot of retirees swear by the savings and dental work done there but personally I’ll play it safe and stay within the U.S. for anything that I need regarding my health. After lunch we headed back across the notorious Rio Grande River and headed home. On Thursday the resort had an open house and lunch, a wonderful brisket of beef sandwich that our neighbors cooked for twelve hours. The open house is an opportunity for a lot or homeowners to show off their decorative and design skills. It’s also an opportunity to sell your lot or home if you are so inclined. One couple sold EVERYTHING all at once: RV lot, motor home and tow vehicle. They are having a house built here and will live in one of the rental casitas for three or so months while their new home is being built. RV lots go anywhere from $48,000 to $120,000 depending on the size of the bunkhouse or casitas and what was done to it. The coach houses go for about $220,000 or so. Weather is great here, around 74 yesterday and 81 today. I have to admit I feel sorry for those poor souls up north and the Midwest. Buuurrr… Glad I’m not there. Retirees come for cheap meds, eye glasses and dental work. Personally I’ll do my shopping in the U.S.
Olive trees in the back. This entry was posted in Uncategorized on February 3, 2014 by Tom & Patricia. We arrived in Mission, Texas, and have joined thousands of “Winter Texans” from across the U.S. and Canada. The draw here is the weather. The area is a tropical, sunny area situated along the Rio Grand River, bordering Mexico with an average winter temperature of 76 degrees. There are over 300 RV parks in the region to accommodate all of us old retired types. The city is the “home of the Ruby Red Grapefruit” commonly grown in the area. Vegetables and fruit are grown here year round because of the rich soil and warm climate. We are staying at the Retama Village, a luxury RV, age-restricted community with a mixture of deeded RV lots, “port houses” with attached RV ports or garages, and single family winter homes, not to mention three heated pools, fitness center, craft center, outdoor kitchen, lounge, library, billiards room, game rooms theater, laundry and much more. Lot owners rent their lots out when not in use. The owner of the lot we are renting owns 3 lots and uses the income to support his retirement life style. Not a bad idea considering the problems renting a house out. Not a lot can go wrong and not a lot to worry about renting out a lot. That’s a lot of lots in one sentence…We’ll be here through February and then have to move down the road to another RV resort. Tom Landry, the former coach of the Dallas Cowboys, was born and raised, and played high school football here in Mission. Landry was one of the great all-time coaches in football. We ran over to South Padre Island the day before yesterday for a quick visit and had lunch at a place called Dirty Al’s. The restaurant is right on the Gulf of Mexico, and Dirty Al and crew go out each day and catch all their own sea food which is sold to large crowds of loyal customers from near and far. South Padre Island is a high rise strip of hotels and condominiums surrounded by beautiful beaches. Not sure I’d want to be here during Spring Break. Called a coach house or carport with an attitude. 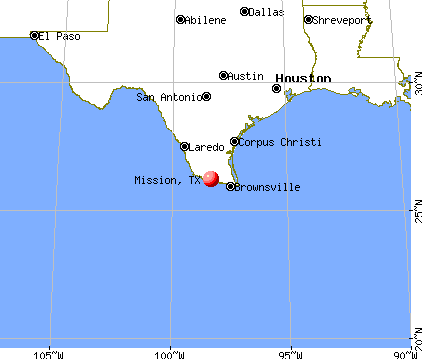 Padre Island is 113 miles long. Long Island in NY is longer. The sign on the door says “Sorry we are open”. What? This entry was posted in Uncategorized on January 18, 2014 by Tom & Patricia. We headed up to Horseshoe Bay on LBJ Lake to explore the area before we head south to Mission. The lake is huge, almost 7,000 acres and about 90 feet deep. Its man made, a Corps of Engineers damn project built back in the 50’s and is feed from the Colorado River. 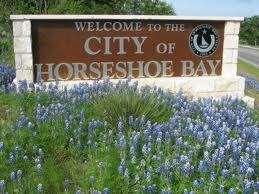 Horseshoe Bay is a resort town with a population of about 6,000 in the off season. During the summer months the town doubles in size with Texans from around the state. The Marriott has a plush resort and spa in the heart of town. Bring your wallet if you come. We stayed at a place called Sunset RV Resort right on the lake. The weather was not pleasant but the skies were clear and the view gorgeous. We were fairly close to Austin and decided to take a look at the Del Webb’s retirement community Texas style. We hear about this community from friends and decided to take a look. I’ve never been a big fan of Del Webb’s construction so the home models did nothing for us but the landscape and facilities in the resort were first-class. I think we’ll be back up this way in February sometime and would like to spend a little more time exploring Horseshoe Bay and the surrounding area. A realtor told us waterfront comes in three sizes: canal, bay, and lakefront. Lakefront being the most expensive. I could do this if I could afford it… We actually went to a open house and then figured FORGETABOUTIT! This entry was posted in Uncategorized on January 10, 2014 by Tom & Patricia. Christmas has come and gone and we are now looking forward to New Years Eve here with a dinner show and live band to bring in the New Year. We passed on the Christmas pot-luck dinner and opted for one of the red heads fabulous dinners with all the trimmings. Our next posting will be from our new digs in Mission, Texas, once we get settled in and organized. Happy New Year to all . . .
No one likes closeups after the age of _____ fill in the blank. All in all, not a bad vocalist, but once you start doing Buckhorn you’re probably at the end of your career. 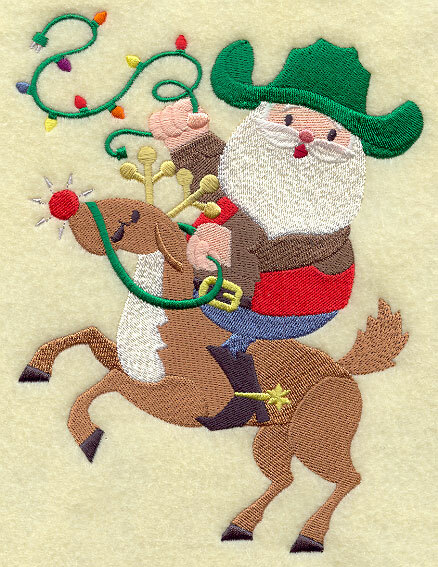 This entry was posted in Uncategorized on December 27, 2013 by Tom & Patricia.